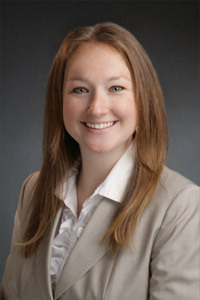 In October, 2010, Dr. Katie McKay joined our practice as Associate Dentist, bringing a lifelong love of dentistry, a dedication to personalized care, and education in general techniques –including preventive dentistry, cosmetic and restorative procedures, and pain management. A Seattle native, Dr. McKay completed her undergraduate education at St. Mary’s College of California, and received her D.D.S. from Creighton University Dental School in Omaha, Nebraska. “I come from a family of dentists, and for me, dental visits were always pleasant and comfortable,” she says. “My goal is to help my patients feel as positive about their dental care as I did.” She likes to work with patients of all ages, and tailors her treatment to their needs, goals and personalities. When she’s not practicing dentistry, Dr. McKay plays rugby, competing in half-marathons, and spends time with her large extended family.